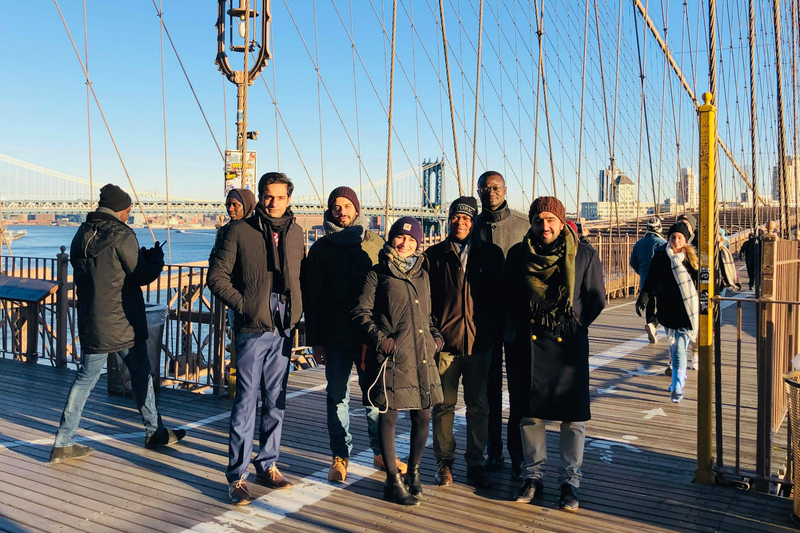 Each year, just before the beginning of the spring semester, a group of students from across programs at the Heller School embark on an exciting career trek to New York City. For three days, this heavily-anticipated trip sees students like me network with potential employers, alumni and other professionals, expertly coordinated by Heller's career development team. 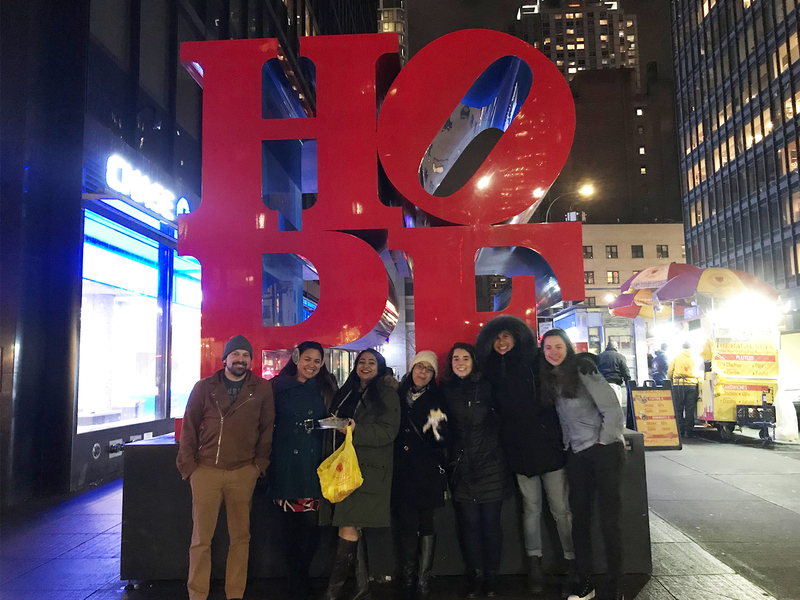 This year, the Heller Career Trek in New York City was held from January 9-11. 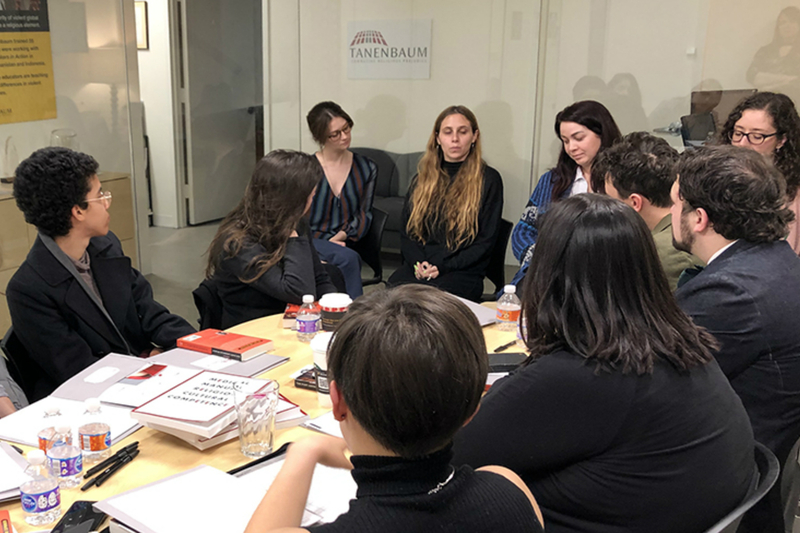 I was among 65 students who visited 16 organizations focused on sectors like, social justice, education, corporate sustainability, international development, and public policy. The professionals we met were phenomenal in navigating our questions, broadening our perspectives and giving us a clearer picture of what our career path could look like after Heller. As a dual degree student, I was fortunate to have the time and opportunity to be part of the trek for a second time around. On last year’s trek, I chose organizations that focused on international development for my SID degree. This year, moving into the MBA program and inching closer towards graduation, I consciously chose three organizations that were closely aligned to my preferred career path in social impact management. 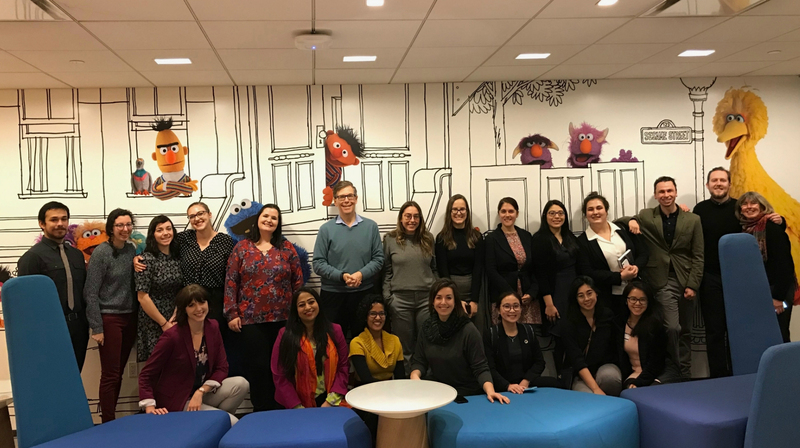 The first organization I met with was Citigroup, where alumna Pallavee Panchal, MBA/MA SID’16, introduced us to her work there and talked to us about the difference between Corporate Sustainability and Corporate Responsibility (CSR). Pallavee was generous with her time, detailing each pivot that brought her to where she is today. I’m sure I speak for the entire group that met with her when I say we were impressed with her honesty. She introduced us to the world of environmental finance and Citigroup’s many social impact programs, helping us look at them as an organization that goes beyond being simply a bank offering various financial services. 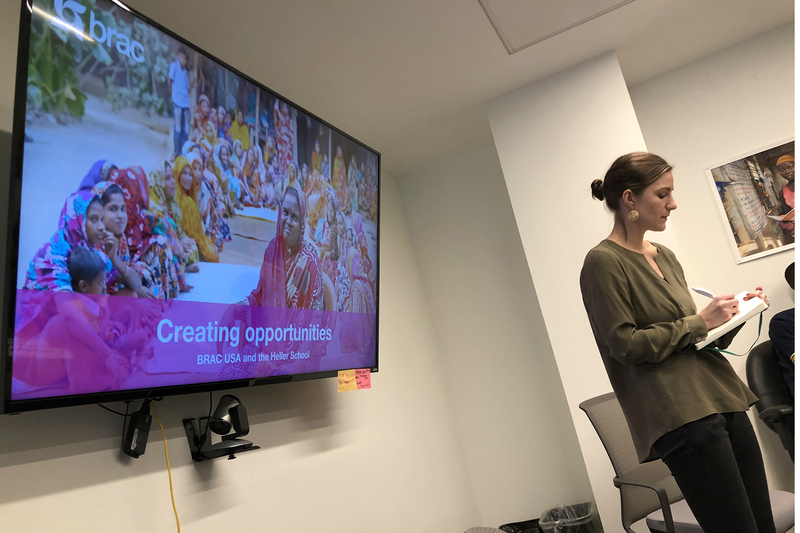 Next, we met with Common Impact in Brooklyn, where alumna Jacquelyn Hodgson, MBA’14, director of consulting, introduced us to the concept of skill-based volunteering. Having headed a social enterprise and managed campaigns for a non-profit in India, the Common Impact mission hit home for me. It was fantastic to learn about how corporations are offering their expertise to help strengthen social missions, across the world. Additionally, it was extremely inspirational to meet with a predominantly women-led team, passionate about their cause and careers. The third and final organization on my list was one I was looking forward to meet with for over three weeks – the Sesame Workshop. Yes, the home of Big Bird, Cookie Monster, Elmo, Mr. Snuffleupagus and every other childhood Muppet memory that made me smile and learn. Here, alumnus Michael Levine, PhD’85, chief knowledge officer at the Sesame Workshop, took us on a tour of the entire office, showing us where and how the Muppets magically come life. But what truly blew us all away was the depth and volume of work that the Sesame Workshop is current engaged in globally. From customizing content for each country that they operate in to partnering with the International Rescue Committee (IRC) to help refugee children learn and play in circumstances where a childhood seems impossible, the Sesame Workshop made us laugh, cry and moved us to think about the immense possibilities of one simple idea – how helping kids grow smarter, stronger and kinder can help transform the world. 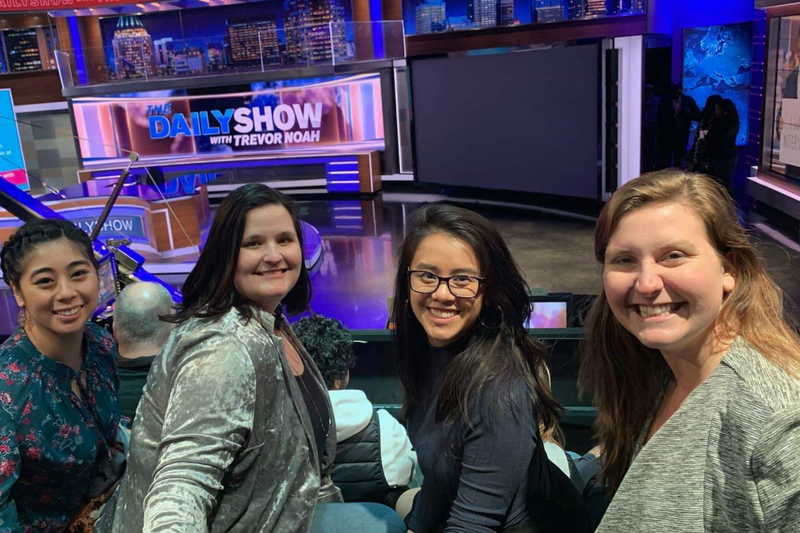 Once all our work was done, the icing on the cake was soaking in the Big Apple’s bright lights and reveling in its diverse offerings of entertainment and food! While some of our friends chose to brave NYC’s chilly winter winds, standing in line to attend a live taping of “The Daily Show with Trever Noah,” a few of us made our way to the McKittrick Hotel for a surreal experience of Sleep No More, a site-specific theatre adaptation of William Shakespeare’s Macbeth. No matter what time we finished our meetings, or how far they were from our hotel, we were never hungry because we sampled iconic food like cereal milk ice cream and delicious dumplings in Brooklyn. New York was the first out of the two career treks organized annually by the Heller career development office. Pro tip: Based on your program, if you find yourself at Heller for two spring semesters, make sure you attend both. It’s a great way to improve your networking skills, meet new people and open your mind to the many possibilities and sectors your skills could take you to. I’m excited to return to Washington, D.C., in February for the next trek!